Look who’s three months old! Felicity has learned how to grasp things now. 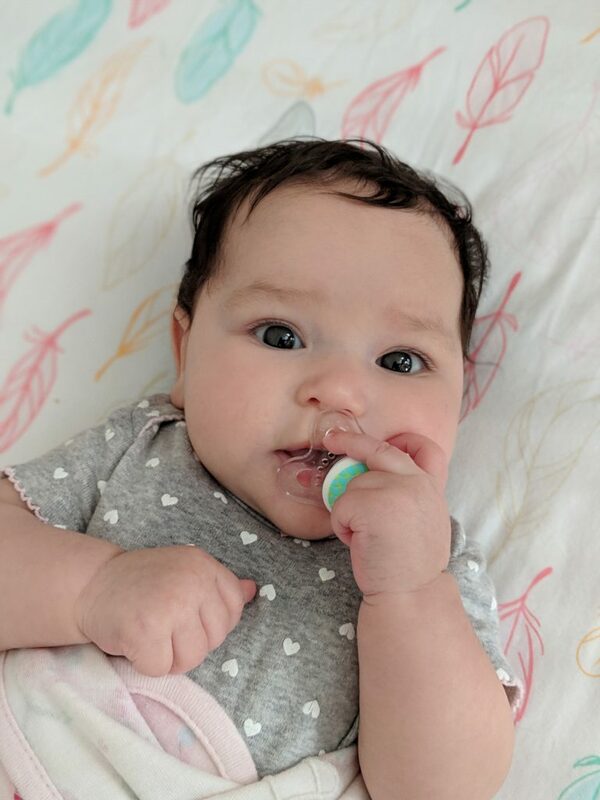 Anything from a rattle, to her pacifier, her bib, or my hair. She laughs but you have to work real hard to get one out of her. She gives out smiles often if you make a silly enough face. She’s most talkative in the evenings after a bath. We babble about our day as I massage lotion on her. I can only imagine she is explaining everything she saw and did that day so I take the time to rest my elbows on the changing pad and listen.